The Edward Allworth Lifetime Service to the Profession Award recognizes extraordinary lifetime achievement in the field of Central Eurasian Studies, and is accompanied by a $1,000 monetary prize. The award is granted every year beginning in 2018, having previously been awarded once every two years. With the generous support of the Harriman Institute, Columbia University, the award was renamed (from the CESS Lifetime Service to the Field Award) in honor of Professor Edward Allworth in 2018 and the monetary prize increased from $500 to $1,000. Edward Allworth was the first recipient of the CESS Lifetime Service to the Field, awarded posthumously in 2016. 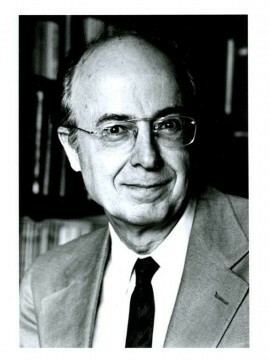 Edward Allworth, a distinguished pioneer in Central Asian Studies, was founding director of both the Program on Soviet Nationality Problems (1970) and the Center for Central Asian Studies (1984) at the Harriman Institute. Beyond an impressive body of research and scholarly accomplishments, Professor Allworth was widely known for his infectious enthusiasm for Central Asian studies and his dedication to students. An obituary of Professor Allworth by the Harriman Institute can be found here. Nominations for the 2018 Edward Allworth Lifetime Service to the Profession Award closed on August 15, 2018. Nomination information is retained for reference and may be subject to change in future. An interdisciplinary panel of scholars of Central Eurasia considered the nominations. The 2018 panel was Ali İğmen (Chair), Elmira Kuchumkulova; Scott Levi; and Cynthia Werner. The nomination should include a letter detailing the rationale behind the individual’s candidacy along with a list of names that the Award Committee can contact to solicit further support for the nominated candidate. A minimum of five letters of support for the candidate must be received by the date determined and published by the Award Committee. The Edward Allworth Lifetime Service to the Profession Award is limited to living awardees, but may be awarded posthumously if the awardee passes away before the award is presented.